Here’s a little quiz that might save your life. What is the most toxic substance known to man? One gram can kill 80,000 people. AND YET, people seek it for beauty’s sake. Poisons are fascinating because they are the ultimate paradox--good and bad at the same time. To find out more, come see “Poisons You Personally Know,” a St. Louis Writers Guild workshop featuring award-winning historical mystery author Fedora Amis, from 10 a.m. to noon, May 6, at The Lodge Des Peres, 1050 Des Peres Rd, St. Louis, MO 63131. Free for Guild members; $5 for nonmembers. 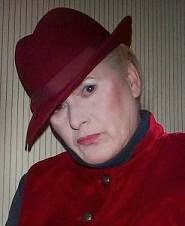 Fedora AMIS won the Mayhaven Fiction Prize for her Victorian whodunit, Jack the Ripper in St. Louis. Five-Star Cengage published her historical whodunit Mayhaven at Buffalo Bill's Wild West in 2016. This historical mystery celebrates the actual 1898 performances of Buffalo Bill's Grand show in Kansas City, Hannibal and Sedalia. The novel received a SPUR nomination by the Western Writers of America. Fedora is also published in non-fiction and served as editor for an educational magazine.